telescopes, night time telescope viewing, presentations and project workshops for kids and adults alike. Club member James Keyworth shows off the partial solar eclipse to 300 students at the Beaver Creek School District thru his Questar Maksutov telescope. The kids Beaver Creek School line up for a look at the partial solar eclipse on August 21st. Over 200 came out at a local Sedona resort to see the partial solar eclipse. 8 telescopes were available to view thru including Hydrogen Alpha scopes. While taking a break from enjoying the eclipse, viewers could cool off with bottled water while looking at the displays in the Night Sky Network tent. Even though the eclipse was only about 69%, the air cooled off about 15 degrees and the sky darkened noticeably. The kids at the Posse Ground Park day camp look at the Sun thru special solar eclipse glasses and solar telescopes. Camp Verde folks that attended the grand opening of the new library had a chance to see the Sun and Venus thru telescopes. Youngsters that attended the Camp Verde Library grand opening are getting ready early for the 2017 Solar Eclipse. Night Sky Network tents being set up at Alamo Lake State Park for the Night Under the Stars event. Solar viewing and daytime planet viewing was a hit at the Sci Tech Festival at Mingus High School. Karen Maddy works with students of Mingus High School at a recent Sci Tech Festival. Meteor Right Meteor Wrong was a favorite activity. The Astronomy Club's field trip to look thru the recently refurbished Clark Refractor at Lowell Observatory in Flagstaff. Red lights are used by attendees at the Kartchner Caverns Star Night while the Milky Way glows overhead. Karen Maddy is training a family how to use their solar eclipse glasses safely. Outreach Director Karen Maddy works with a family in the Night Sky Network tents at Kartchner Caverns Star Night. Telescopes being set up for a Night Under the Stars at Tuzigoot National Monument in Clarkdale, AZ. 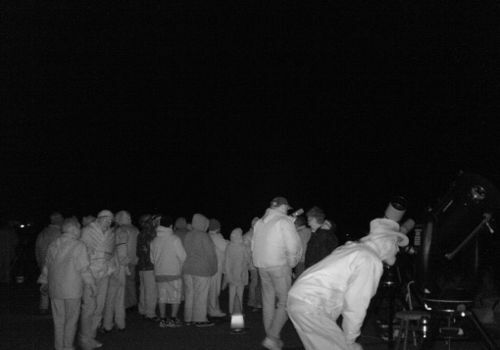 Here's a look at what observers saw at the Night Under the Stars event at Tuzigoot National Monument in Clarkdale, AZ. Students at the Sci Tech Festival at Camp Verde High School enjoy views of the Sun thru hydrogen alpha and visual wavelength telescopes. 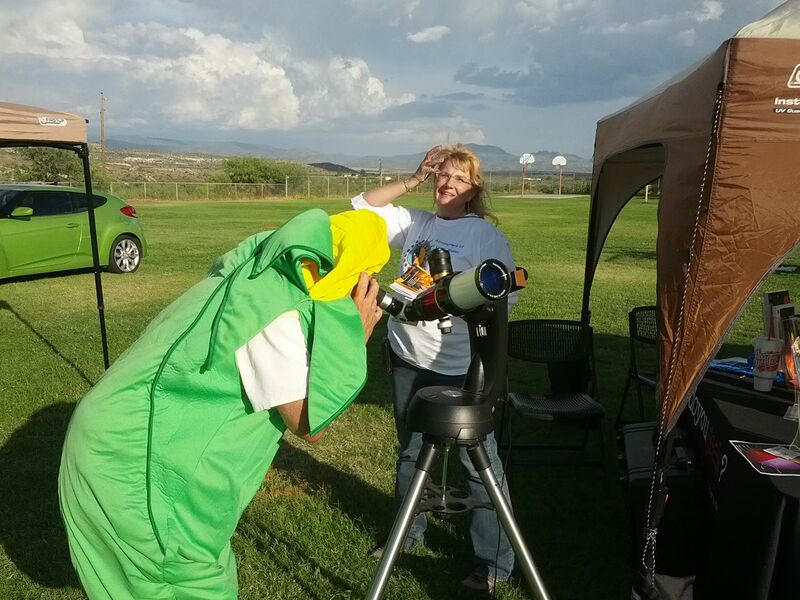 Even Corn can enjoy views of the Sun thru special solar telescopes at Camp Verde's annual Corn Fest. 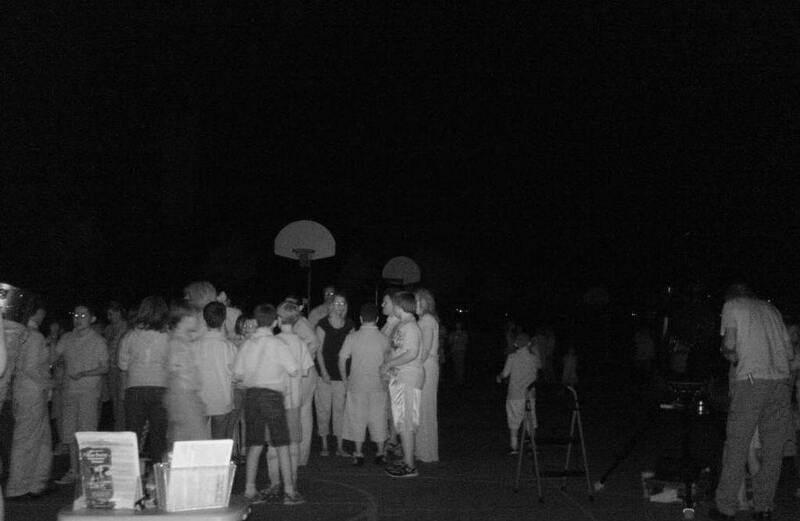 The 5th grade class at Mountain View Preparatory in Cottonwood enjoy the night skies with the astronomers on Oct 1st, 2015. 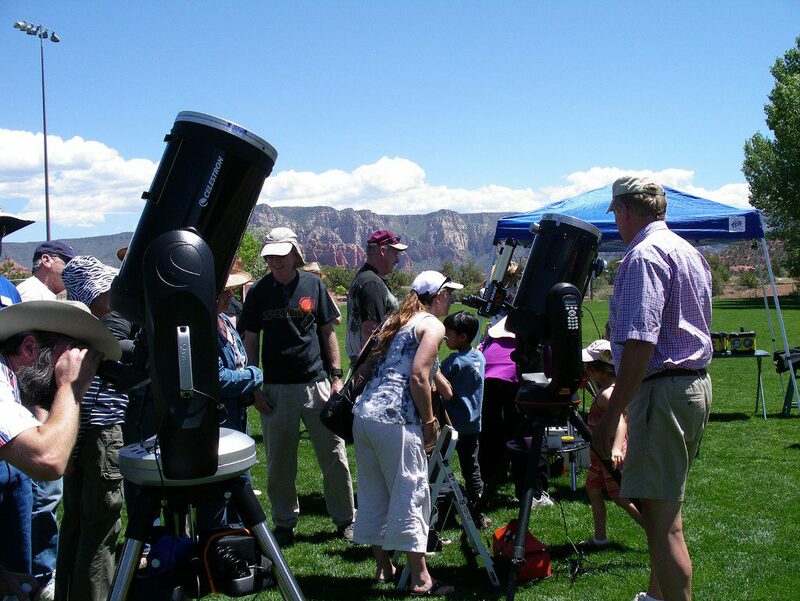 Solar Viewing at the July 4th, 2015 Clarkdale Celebration, Parade and Pancake Breakfast. 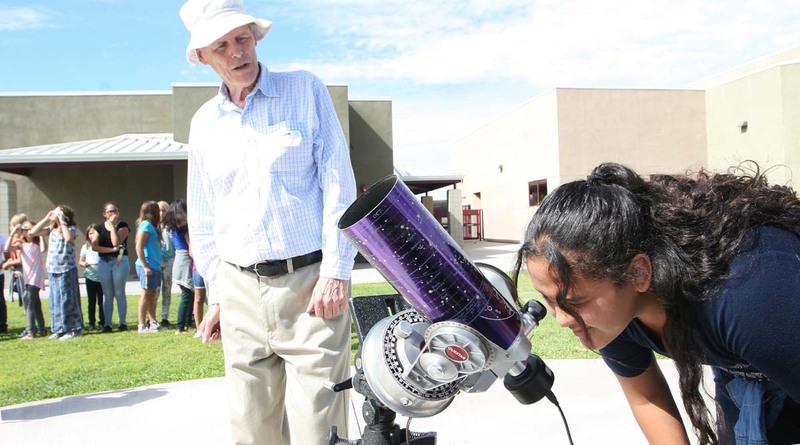 Solar Viewing at the July 4th 2015 Clarkdale Celebration, Parade and Pancake Breakfast. Family Campout at Dead Horse Ranch State Park in Cottonwood. Solar viewing @ Sunset Crater Visitor Center on June 20th, 2015. Star Party set up at Red Rock State Park in Sedona. Waiting for darkness at Red Rock State Park in Sedona. A team from Lowell Observatory set up their scope at Red Rock State Park in Sedona. 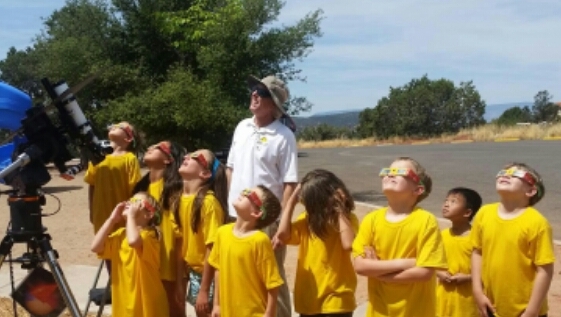 Participants at the Sedona Parks and Recreation Summer Kids Camp learn how to properly observe the Sun. 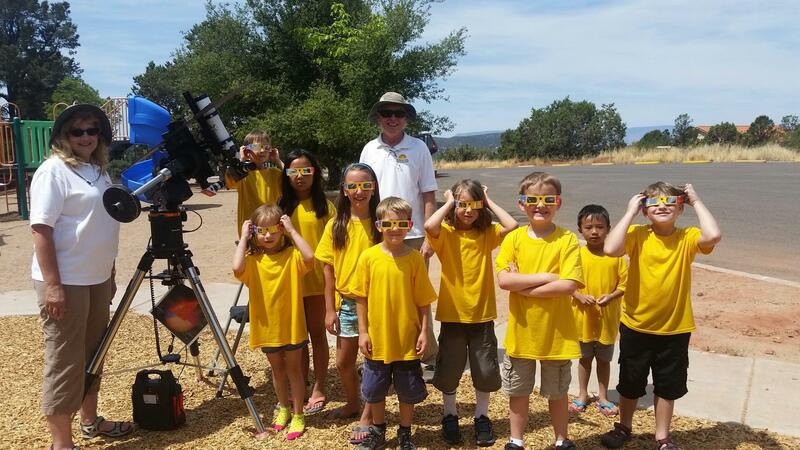 Participants at the Sedona Parks and Recreation Summer Kids Camp learn how to properly observe the Sun. Here, they are looking at the Sun in the hydrogen alpha and ultraviolet wavelengths. Students of Mingus Union High School at their annual school's end star party. Family Campout at Red Rock State Park in Sedona. The cloudy skies did clear up for the Family Campout at Red Rock State Park in Sedona. 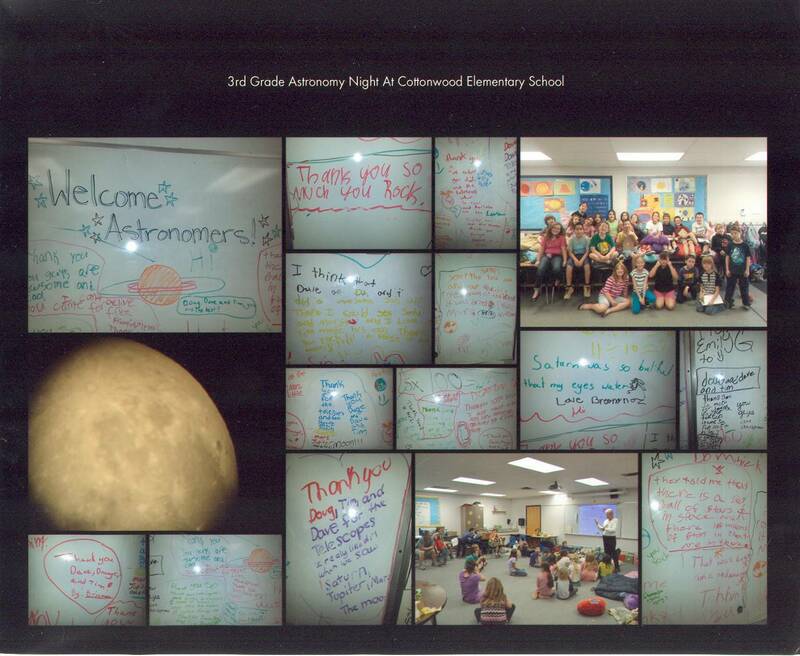 Students of Cottonwood Elementary show their appreciation for the Club's star party. 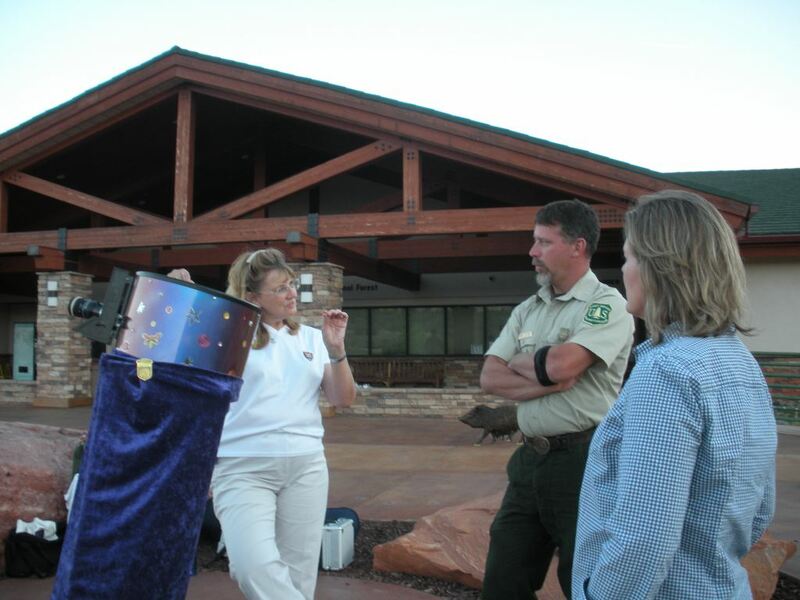 The Rangers at Red Rock State Park in Sedona help kids build recycle rockets out of plastic water bottles and glow bracelets. A crescent Moon sets in the background. Karen Maddy conducts some long distance solar outreach at the Visitor Information Station on the volcano Mauna Kea on the Big Island of Hawaii. Karen Maddy explains some of the finer points of night time observing to Rangers and those who came out to the Red Rock Ranger Station star party. 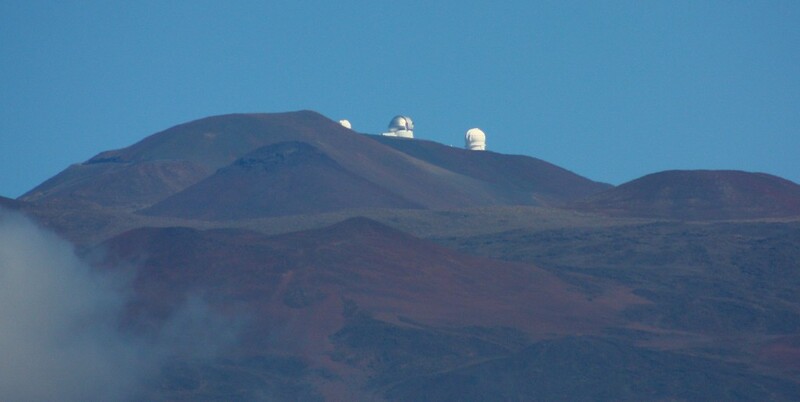 The Club's outreach is now going really far out to the island of Hawaii at the Visitor Information Station on Mauna Kea. The Science Class of Mingus Union High School have a look at the night skies thru the several telescopes present on the ball practice field. 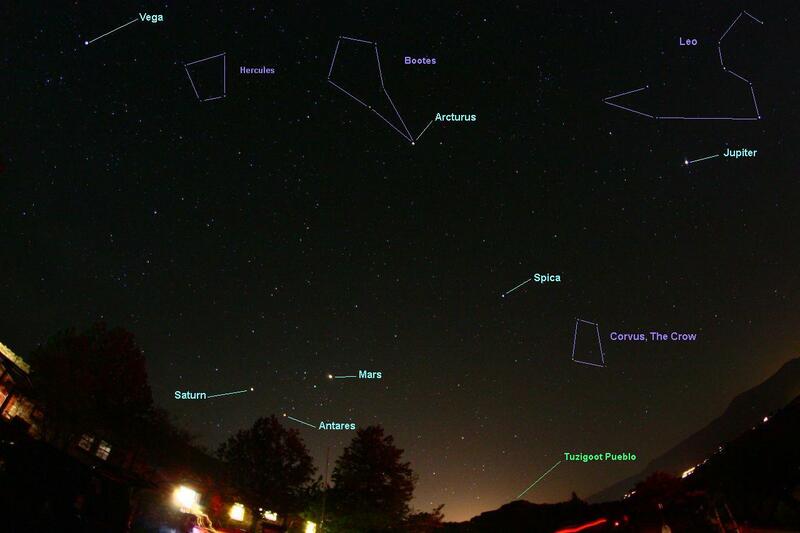 Jupiter, Saturn, Venus and many other stellar objects were seen. Even Comet Panstarrs made an appearance. The Science Class of Mingus Union High School have a look at the night skies thru the several telescopes present on the ball practice field. Many of the students had check lists and questions for the visiting astronomers. The Science Class of Mingus Union High School have a look at the night skies thru the several telescopes present on the ball practice field. Although the Sun had just set, the cloud bands of Jupiter were easily seen. After the skies darkened a bit, the Galilean Moons were seen as well. Brian Stephens of Lunt Solar Systems showcased a 100mm Double Stack Ha and 152mm Ha solar telescopes at the past Kartchner Caverns event. Scattered clouds didn't hamper the 125 plus crowd viewing thru solar telescopes. As the clouds moved in and out for solar viewing, the Night Sky Network tent was busy with activity. Members Karen and Terry tried to keep up with all the questions they crowd had. The wind blustered up in the afternoon and we had to take the tents down. The solar viewing continued. As others were showing off the Sun spots and solar flares, JD trained his scopes onto Jupiter. Yes, Jupiter can be seen quite well during the daytime. Cloud bands could be easily seen. The moons escaped visual looks until the evening. A small spotting scope projects the Sun spots visible onto a white card. This an easy way to observe the Sun with out a solar filter. It can be rough on the eyepiece though, and should only be used for a short period of time. A local Cub Scout troop learns about astronomy while earning their loops, patches and badges. They were going to look thru telescopes also, but an unusual blizzard was going on in Sedona. Karen Maddy is presenting proper telescope etiquette. A local Cub Scout troop learns about astronomy while earning their loops, patches and badges. They were going to look thru telescopes also, but an unusual blizzard was going on in Sedona. J D Maddy is discussing stellar evolution and the life of our Sun. On November 10th, 2012 the 6th Annual Night Under the Stars at Alamo Lake State Park took place. Night Sky Network tents kept the crowd busy as the clouds moved around during the daytime. Later, 19 telescopes dotted the viewing field as the 200+ viewers enjoyed a clear, cloud free sky. At Alamo Lake State Park's Night Under the Stars for 2012. 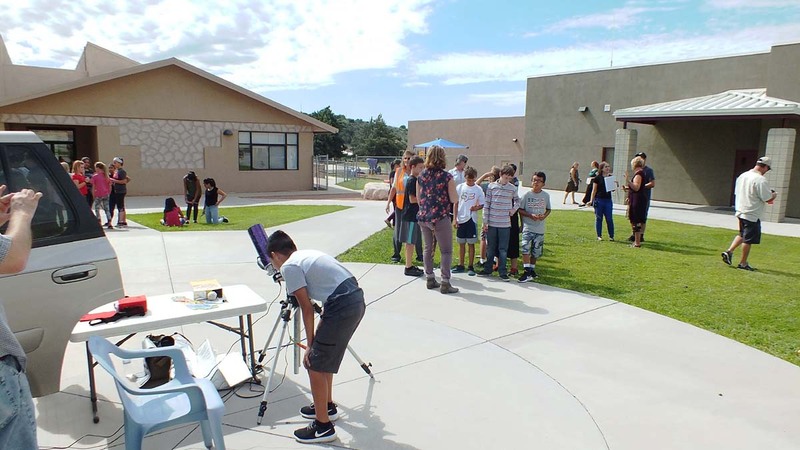 As the adults viewed thru the solar telescopes during the day time, the kids gathered in the Ramada and worked on several types of projects at the Kids Zone. 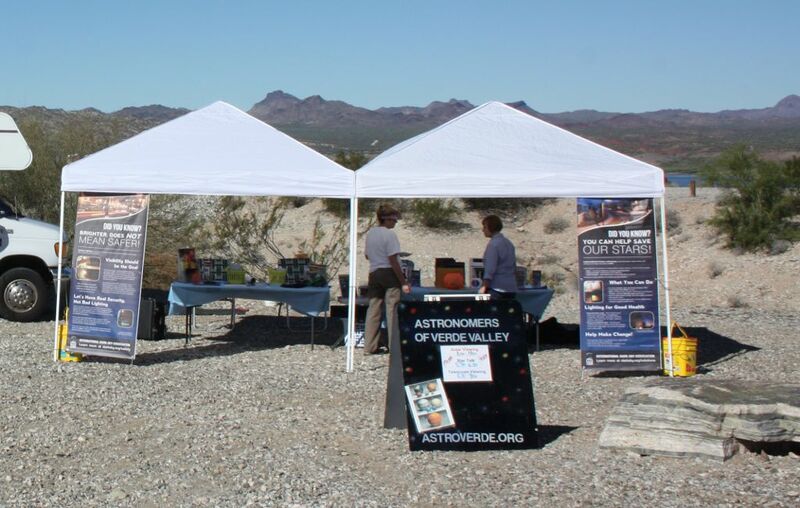 On April 22, 2012 in conjunction with Sedona Parks and Recreation, the Astronomers of Verde Valley conducted a Solar Workshop at Posse Ground Park. After a Power Point presentation, the 50 attendees were able to look thru a variety of solar telescopes viewing Sun spots, solar flares and evening viewing in ultraviolet wave lengths. 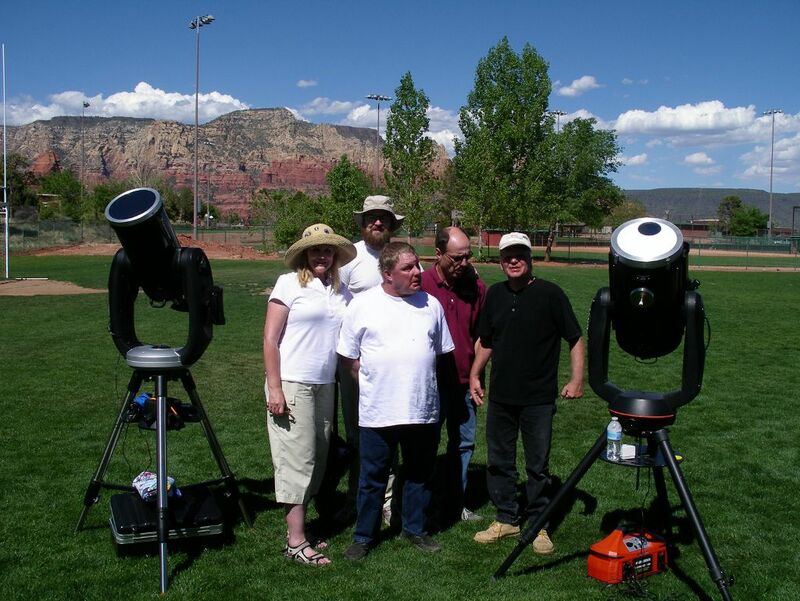 On April 22nd, 2012 in conjunction with Sedona Parks and Recreation, the Astronomers of Verde Valley conducted a Solar Workshop at Posse Ground Park. Here, Ranchers from Rusty's Morning Star Ranch stopped by to have a safe look at the Sun. 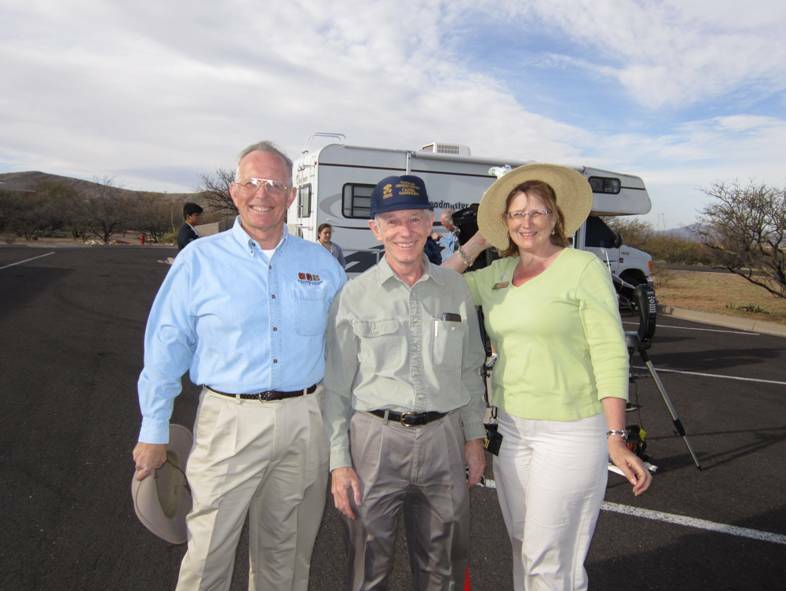 Bob Gent (left) President of the Huachuca Astronomy Club , Father Chris Corbally (center) of the Vatican Observatory and Karen Maddy share a photo moment at the recent Kartchner Caverns Star Night on March 17th, 2012. 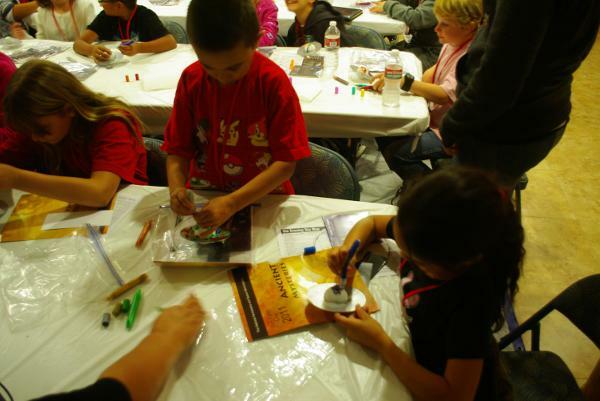 Young folks in our outreach tent learn about the solar system, asteroids and meteors at the Tonto National Monument Star Party at the Windy Hill Recreation area on March 10th, 2012. Several gather at the telescopes at Roosevelt Lake for the Tonto National Monument Star Party at the Windy Hill Recreation area on March 10th, 2012. Camp Soaring Eagle kids have a Spooky Halloween presentation before they start their Saturns. 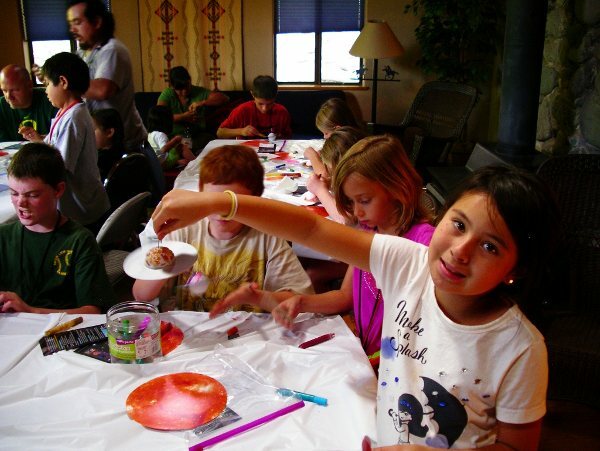 Camp Soaring Eagle Kids eagerly decorate their Saturns. This young lady is looking thru a "Shoe Box Universe" created by member Doug Ostroski at the fall 2011 Kartchner Caverns Star Party. More activities for the kids at Kartchner Caverns fall 2011. 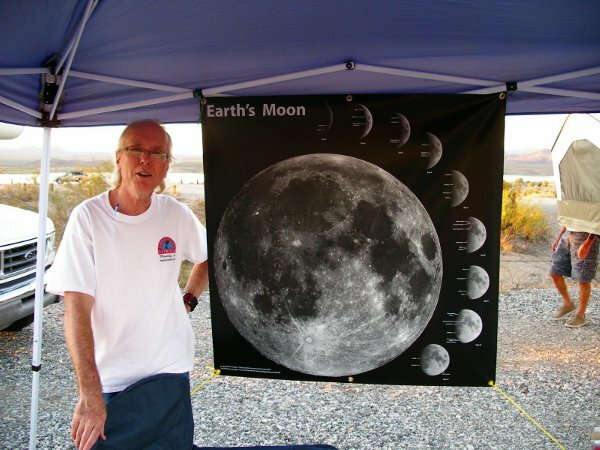 JD is explaining the phases of the Moon to campers at Alamo Lake State Park the afternoon of the Night Under the Stars event. Karen operates the Club's Coronado PST piggy backed on a Celestron 6Se with a visual solar filter at Wupatki National Monument. The outreach table at Sun Set Crater National Monument before the evenings star party. Rich Bohner "mans" the outreach table at Sun Set Crater National Monument. 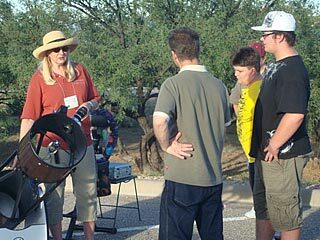 Karen explains the use and operation of a reflector telescope to a group at Kartchner Caverns. 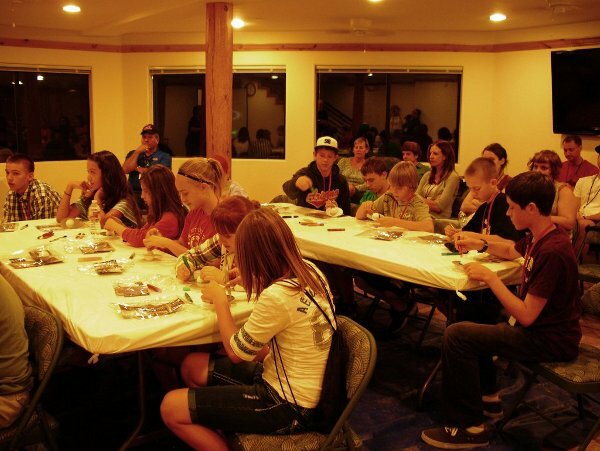 These kids are making Saturns before a star party at a Camp Soaring Eagle event at Jack Pot Ranch. 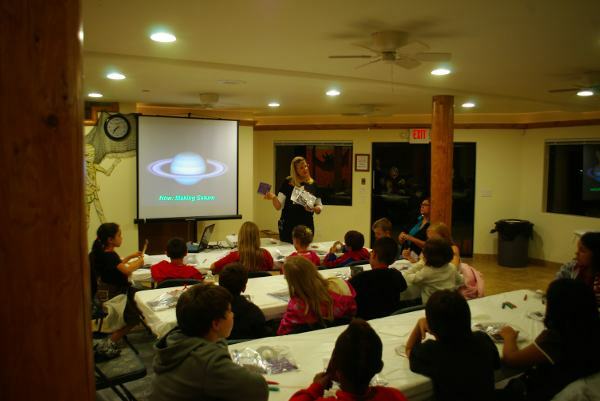 These kids are finishing their Saturns at a Camp Soaring Eagle event held at Briar Patch Inn.